St. Luke’s welcomes people of all faith backgrounds to the open doors of the Episcopal Church. The Episcopal Church is characterized by sharing the love of Christ under a big tent. Our emphasis is on a bible-based liturgy that utilizes the Old and New Testament readings at every service, every Sunday. This liturgy is an ancient one that goes back to the original form of worship of the earliest Christians that culminates each Sunday with the Holy Eucharist. We welcome all baptized Christians to receive communion with us at the altar of God. We welcome all people, who may be exploring their faith, to join us for our Bible study before the Sunday service. We discuss the Bible that has been provided to us to guide our faith and our following of Jesus in his Way. We encourage dialog and exploration of your faith journey. 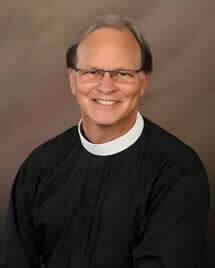 My service at St. Luke’s is of a new type of church leader. 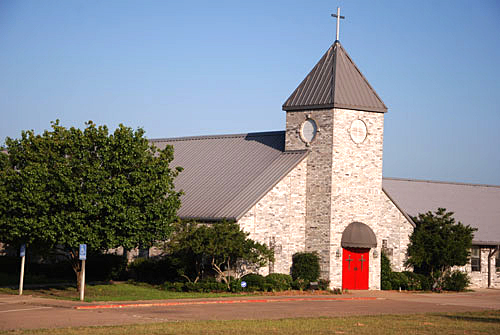 For three years I was enrolled in the Iona School for Ministry at the Diocesan Conference Center at Camp Allen, Texas in preparation for ordination to the priesthood in a bi-vocational track. My ordination as a deacon took place June 20, 2015 and my ordination to the priesthood January 15, 2016. My business provides me the opportunity to serve in St. Luke’s at an age when most are considering retirement. The people of St. Luke’s are a warm and welcoming group of believers and explorers in the faith who have welcomed me as their bi-vocational priest. I earned a B.S. degree in Geology from the University of Texas at Arlington in 1977. I served in the U.S. Air Force from 1973-1980 as a linguist. In my professional career I have worked as a petroleum geologist in Tyler, Texas since 1978 both as an employee of exploration companies and as a business owner since 1984. In my church life I have served in the laity at Christ Episcopal Church as the senior high Sunday school teacher, the youth leader, a member of the Vestry for three terms, as an Education for Ministry student for four years and mentor for eight years, the acolyte master and verger as well as a lay Eucharistic minister. I also served multiple terms on the board of the All Saints Episcopal School. These experiences prepared me in part to serve St. Luke’s as their Vicar and over the St. Luke’s Episcopal School. Please consider visiting St. Luke’s to worship and to meet our congregation. We will help you explore the Christian faith within the Episcopal Church. Please refer to the epicenter.org diocesan website and explore our way of worship in the links on the following page. Above all know that, you will be welcome in our church.